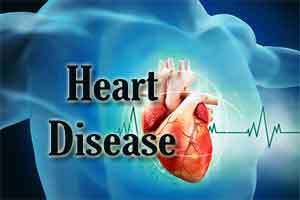 The age at which a cancer survivor was diagnosed may help determine their risk of death from heart disease. For some types of cancer, the younger the age at cancer diagnosis, the greater the risk of heart disease. Dallas : The age at which cancer survivors were diagnosed for cancer may help determine their risk of death from heart disease, according to new research in the American Heart Association’s journal Circulation. Cancer survivors diagnosed at ages 15 to 19 had 4.2 times higher risk of death from heart disease compared to the general population of similar age and gender. Survivors who were 35 to 39 years old at cancer diagnosis had 1.2 times higher risk of death from heart disease compared to the general population of similar age and gender. The significance of age at diagnosis was most apparent for survivors of Hodgkin lymphoma cancer of the lymphatic system. 6.9 percent of survivors who were diagnosed with Hodgkin lymphoma at ages 15-19 had died of heart disease by age 55 years compared to two percent of those diagnosed at ages 35-39. Given their age and gender less than one percent of these survivors would have been expected to die from general population rates. Survivors of Hodgkin lymphoma experienced 3.8 times the risk of death from heart disease than expected from members of the general population of similar age and gender. Among survivors of Hodgkin’s lymphoma aged over 60 years, almost 28 percent of the total excess number of deaths observed were due to heart disease. This new research provides insight into the cardio toxicity of cancer treatments given in the past to teenagers and young adults a growing topic of focus in medical circles related to cancer treatment. However, researchers noted the study lacks detailed information on exposure to cancer treatments: radiotherapy and chemotherapy. “Survivors of cancer diagnosed in teenage and young adulthood are internationally acknowledged to be an under studied population. With the advantage of long-standing cancer registration for the U.K. population, we were in a position to undertake the largest study to date, which has the advantage of being population-based and benefits from lengthy follow-up after diagnosis,” Hawkins said.